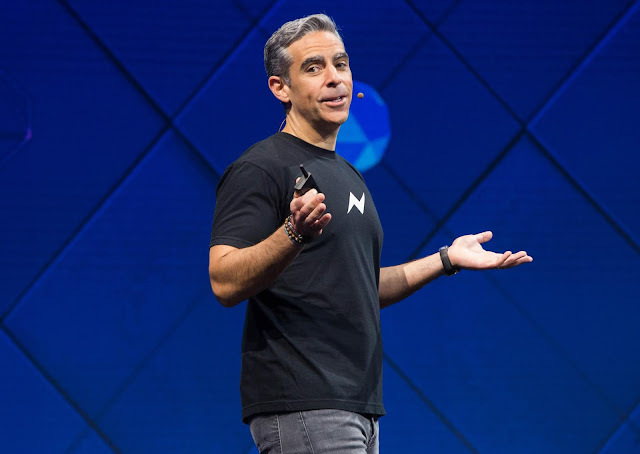 Facebook's current blockchain head David Marcus has now stepped down from the board of digital currency exchange unicorn Coinbase in a bid to avoid conflict on interest over his new role as head of the social networking giant's blockchain efforts which may compete with Coinbase's products. The Facebook Vice President who is also a former President of PayPal was appointed to Coinbase's board December last year being chosen based on his experience at with digital payments at both PayPal and Facebook in addition to his knowledge of the cryptocurrency ecosystem. “Because of the new group I'm setting up at Facebook around Blockchain, I've decided it was appropriate for me to resign from the Coinbase board." Marcus said in a statement released to various media outlets concerning his resignation from the board. In a separate statement, Coinbase co-founder and CEO Brian Armstrong thanked Marcus for his service at the 6 year old startup which booked $1 Billion in revenue last year thanks to a rise in the adoption of digital currencies. Marcus also added "Getting to know Brian, who's become a friend, and the whole Coinbase leadership team and board has been an immense privilege. I've been thoroughly impressed by the talent and execution the team has demonstrated during my tenure, and I wish the team all the success it deserves going forward." Marcus initially led led Facebook Messenger before transitioning to lead its blockchain efforts and is credited for the introduction of the app's peer-to-peer payment platform which kicked off 3 years ago in the U.S. with more business payment services being implemented on the platform which has over 1.2 Billion monthly users. According to a Coinbase spokesperson, There are currently no efforts being made to fill Marcus's now empty board seat at the company. Current board members of Coinbase include Andreessen Horowitz's Chris Dixon and Katie Haun, IVP's Tom Loverro, Union Square Ventures' Fred Wilson and co-founder Fred Ehrsam along with Armstrong who leads as CEO. This move notably hints of Facebook seriously increasing its blockchain efforts as job postings related to the space shows that the company is currently looking to fill the positions of a Public Policy Manager for Blockchain and a Software Engineering Manager for the same field with both postings based across 3 locations. Facebook was also said to have approached cryptocurrency firm Stellar mulling to build a payments network but has denied this claim as per recent reports.